Children gather in Bunia's central camp. 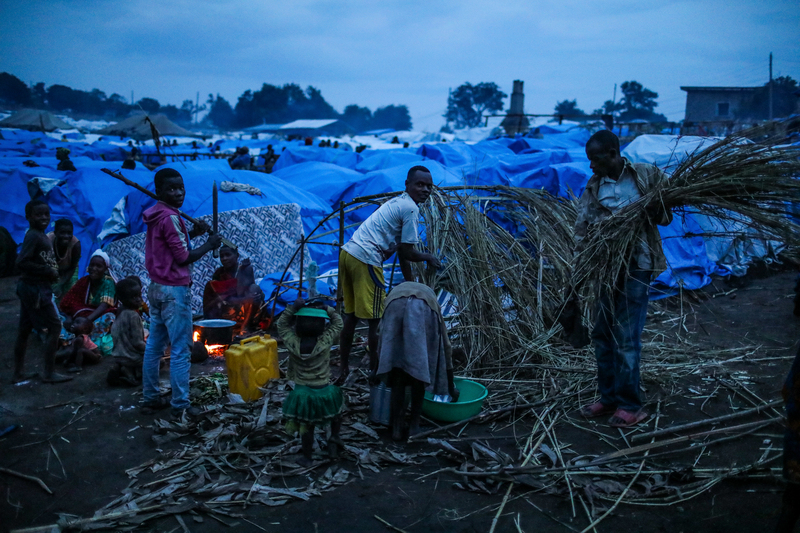 By early April, more than 8,600 people displaced from the Djugu countryside were registered residents of this camp, in Bunia, the capital of Ituri province. Adam Desiderio for VICE News. The idea was to cover the largest refugee crisis you probably never heard of. That meant first returning to South Sudan (where I had reported on the civil war there in 2017), then moving onward to the Democratic Republic of Congo and finally Uganda, to document the various crises displacing millions of people from their homes. 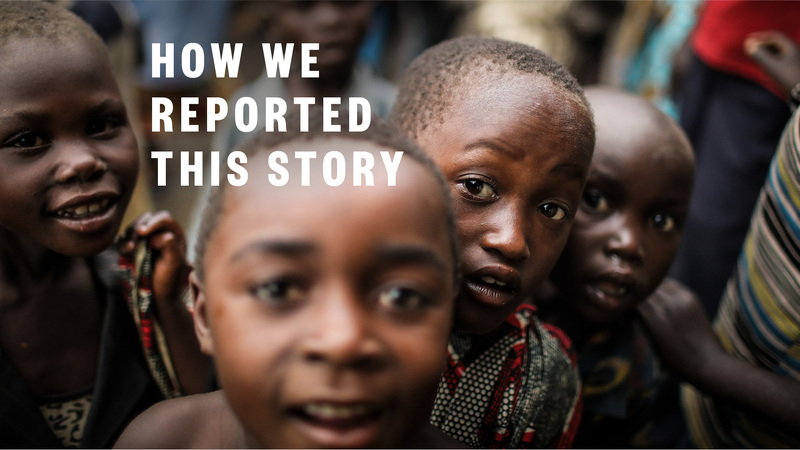 But by the time that I arrived in DRC in February, I had an inkling that there was another story breaking, one that had attracted little attention beyond squibs of articles and the panicked reports of aid organizations. After a couple weeks, I decided that I needed to change my plans and detour to Ituri province where something very dark was taking place. Within a few days in Ituri, I knew that I had an important phone call to make. I had to tell VICE News that I was changing my entire reporting plan. I needed to stay in Ituri province because I had stumbled upon an ethnic cleansing campaign and I was watching it unfold in real-time. Buma Perusi was one of the first victims I spoke to when I arrived in Ituri province and she was bone-tired on the morning we met. Two weeks earlier, the 52-year-old grandmother’s village, Dyevi, part of a collection of Hema community known as Sombuso, had been attacked by machete-wielding Lendu militiamen. Perusi showed me the panga wounds on the back of her head. Her 4-year-old grandson Jonas had a bandaged chin. I asked how he was feeling. “They cut me with a machete,” he whispered. 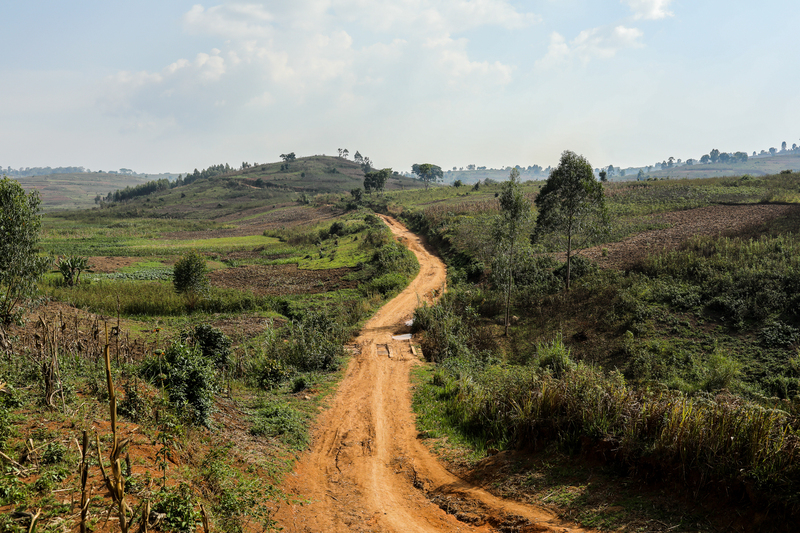 A road out of the village of Maze in Ituri province. At the time the photo was taken, a Hema village about half a mile away was under attack by a Lendu militia. Adam Desiderio for VICE News. I would speak to other survivors from Sombuso — all sharing similarly horrific stories of violence. Soon, I had no doubt about what was happening there. I just had no idea where there was. Today, we live in a world orbited by satellites that can spy on virtually every patch of the planet. Any town, down to the last cul-de-sac, can be studied and mapped. You can digitally plunge yourself into a city you’ve never visited and peer into each storefront. You can call a car with your phone and watch it wind its way through the streets in real time. If you have an address, Google can guide you there, turn by turn. But not Sombuso. Uber won’t take you there. You can’t find it on Google maps. It wasn’t on my detailed old-school physical map of Congo. Sombuso doesn’t even show up on United Nations’ maps, neither do Dyevi, Logo Takpa, Reta, Marifa or more than half of the villages I searched for in Ituri province in the far east of the Democratic Republic of Congo (DRC). I learned about the villages the same way I learned about Sombuso — from former residents made homeless by rampaging militiamen who murdered with machetes and burned homes during a campaign of violence that has ebbed but not ended. 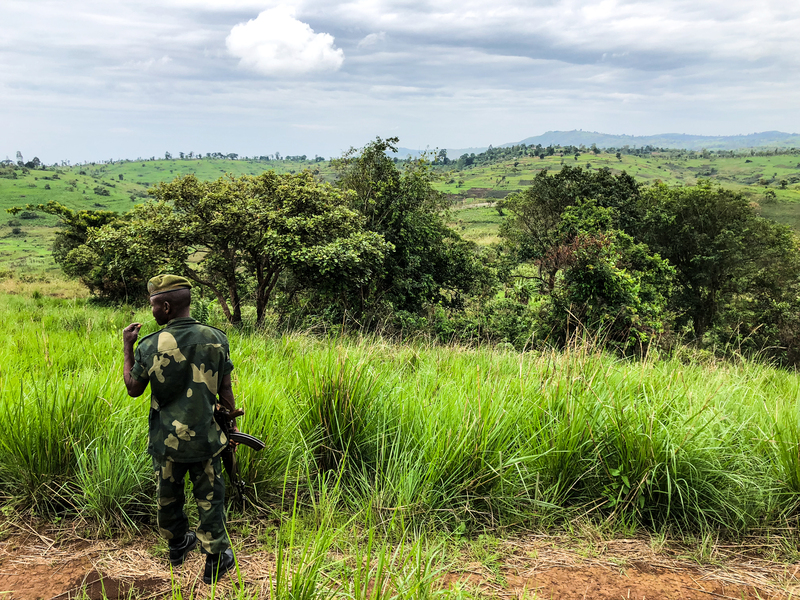 I traveled into the Ituri countryside with Congolese soldiers, visiting some of those same communities, surveying the damage to villages no one had yet bothered to put on a map before being, just weeks earlier, wiped from the earth. In all, I saw the remains of more than two dozen ravaged communities — roofless churches and schools, burned-out thatch-roofed homes, wrecked marketplace stalls. A soldier from the Armed Forces of the Democratic Republic of Congo (FARDC) looks out on the countryside in Djugu territory, Ituri province. Nick Turse for VICE News. At medical centers in Ituri, I met the injured survivors — women, men, and children with ghastly wounds. I spent several days at the Centre Medical Evangelique de Nyankunde in Bunia, the capital of Ituri province. Almost two decades into the 21st century, there were no electronic beeps, chimes, or alarms; no heart monitors, IV pumps, nor ventilators. There, I spoke to toddlers whose faces had been split in two, women and children who lost hands or limbs, men who had been butchered alive. I spent many more days traveling around Bunia, meeting with their more fortunate neighbors who escaped physical injury, but whose minds were sometimes as battered and bruised as the bodies of those healing at the hospital. I watched a camp for internally displaced persons (IDPs) there grow from housing hundreds to nearly 10,000, as it’s capacity to care for them shrank at the same rate. Elsewhere in town, I visited private homes where up to 20 people were crowded into a residence that could comfortably accommodate less than half that number. Some 15 miles away, in Iga Barrière, a local official said some homes were hosting double that number. They were lucky. I saw hundreds living along roadsides on the edge of that town. While hundreds of thousands were displaced inside DRC, more than more than 50,000 fled into neighboring Uganda across Lake Albert, Africa’s fifth largest body of water — a journey which can take up to ten hours depending on the vessel, weather conditions, and the route. A displaced family builds a makeshift home inside General Hospital IDP Camp in Bunia, Democratic Republic of the Congo. Adam Desiderio for VICE News. Lake Albert looked placid from the Ugandan shore, but its waves often battered and sometimes even sank rickety canoes crossing from Congo. Even when the waters were calm — like when I headed out in the lone Ugandan Marine Police boat — I felt the chop and churn and got a sliver of a sense of what Congo’s refugees experienced. And when the gray fiberglass boat broke down, I could appreciate their predicament even more. In Uganda, I traveled to the landing zones at Sebagoro, Ntoroko, and Nsonga to speak with sick and starved new arrivals. There were more aid agencies, more services, and better facilities across the maritime border than there were in Congo, but the privation was still profound and the stories of survivors echoed what I’d heard across the lake. They sat sullen and stunned and recalled murdered spouses, missing children, whole communities sent up in flames.